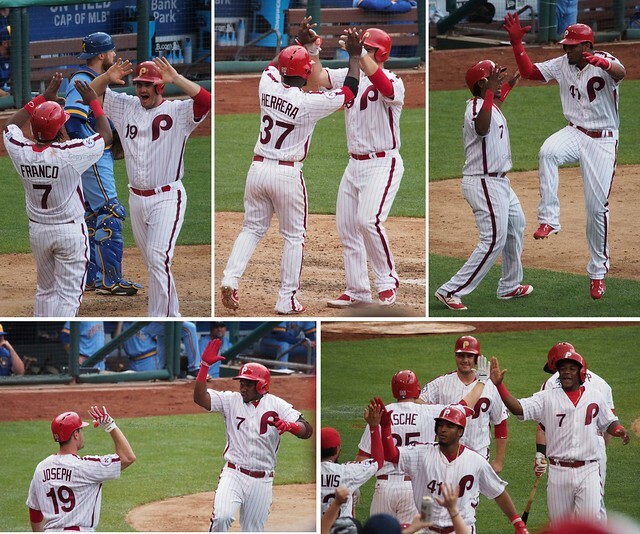 With a 7-2 win today, the Phillies collected the series win against the defending World Champion Royals. 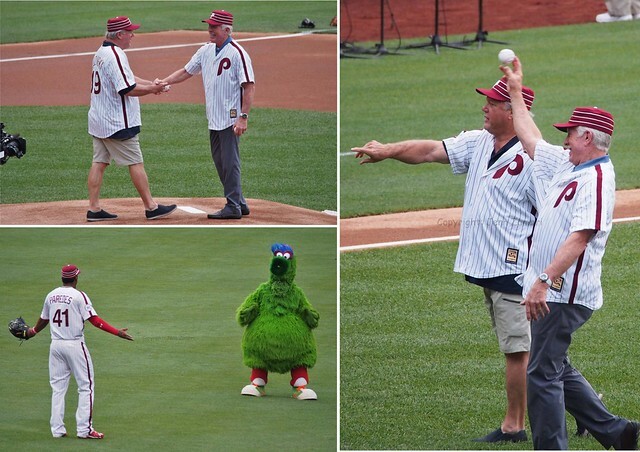 The fun began even before the game started as the Phanatic tormented Royals player Salvador Pérez by dumping a bucket of confetti on him. 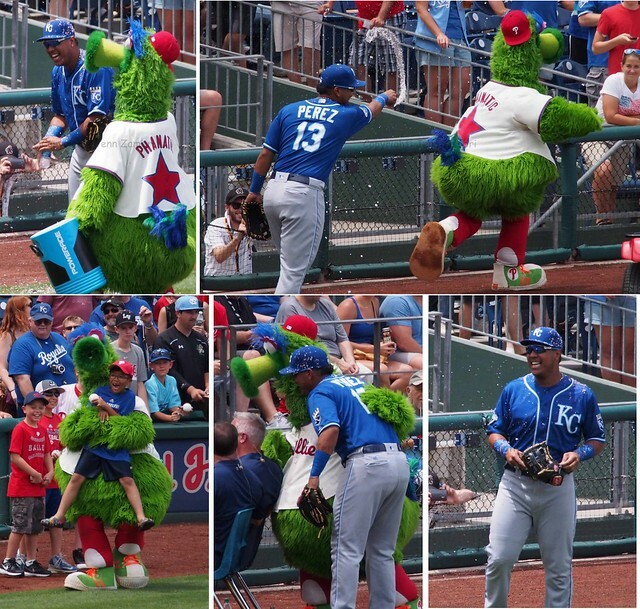 Perez tried to fight back by tossing water, but the Phanatic used a small child as a human shield to avoid the soaking. 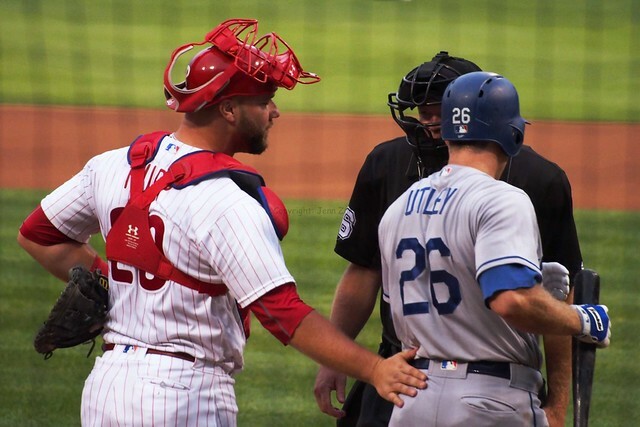 Eventually, Perez stole the Phanatic’s car keys and then they made up. More excitement ensued in the first inning when, after only 5 pitches, the manager, pitching coach, team trainer and half the team made a visit to the pitching mound to check on starter Vince Velasquez. His velocity was down around 85-90mph, which triggered panic, especially since Velasquez is fresh off an injury. But Velasquez pitched well, despite the slow down of his fastball. He went 6 innings and allowed only 2 runs. 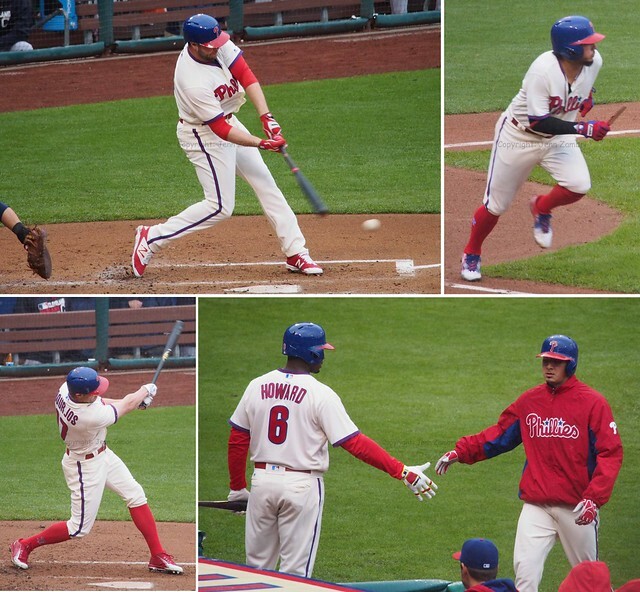 In the bottom of the 1st, Cameron Rupp kick-started the offense with a 3-run homer. 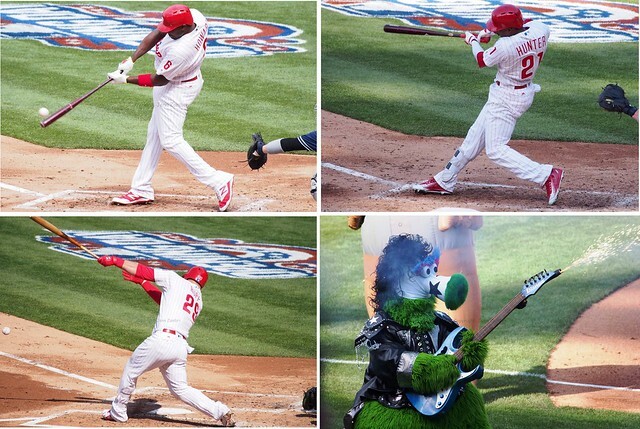 The Phillies went on to score 7 runs on 3 homers and 11 total hits. 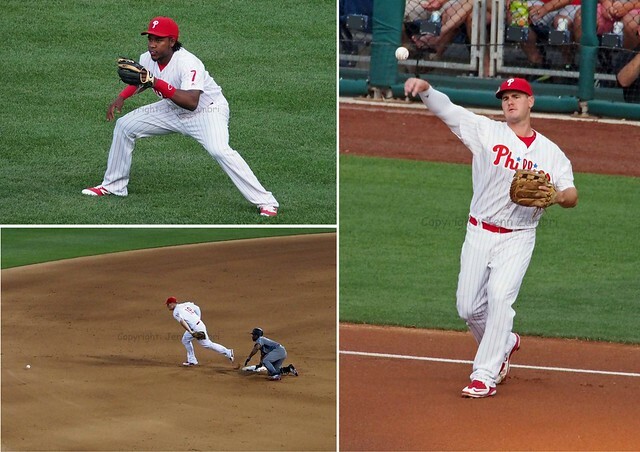 Cody Asche and Maikel Franco also hit long balls. 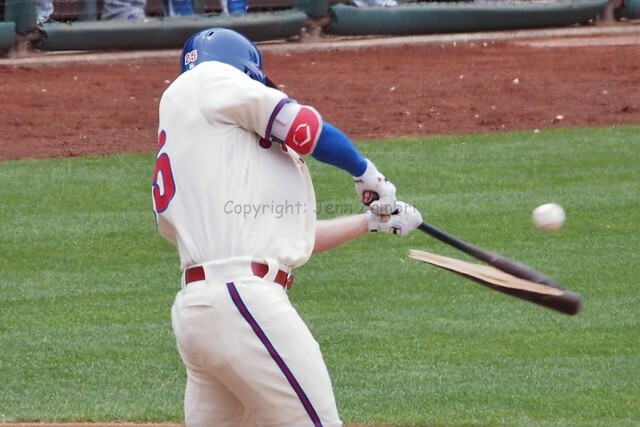 Asche also shattered his bat during another plate appearance, sending Royals scrambling for cover. Luckily, no one was hurt. The bullpen was able to hold down the lead after Velasquez left the game. 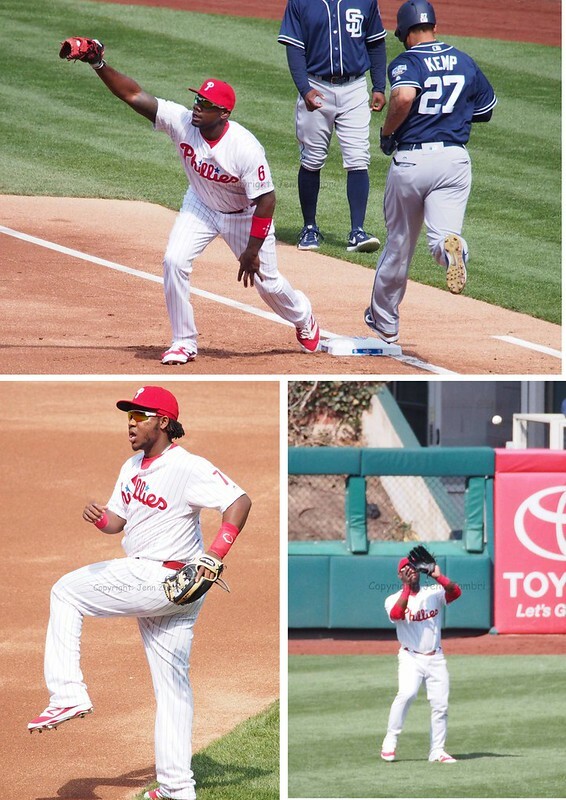 Edubray Ramos, Hector Neris and Jeanmar Gomez finished out the game strong with little drama. 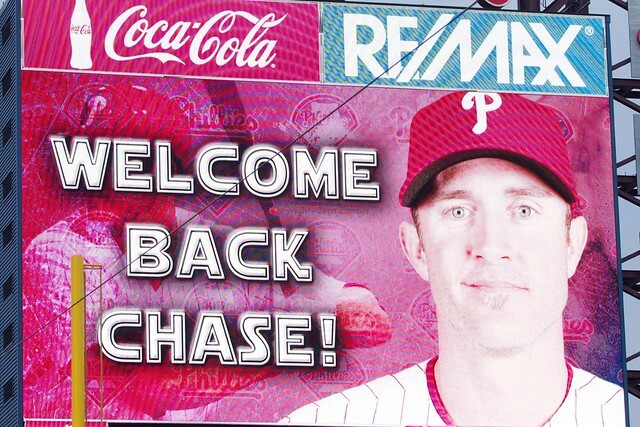 So after a very bad month-long stretch where seemingly nothing went right, it looks like the Phillies are finally back on track. 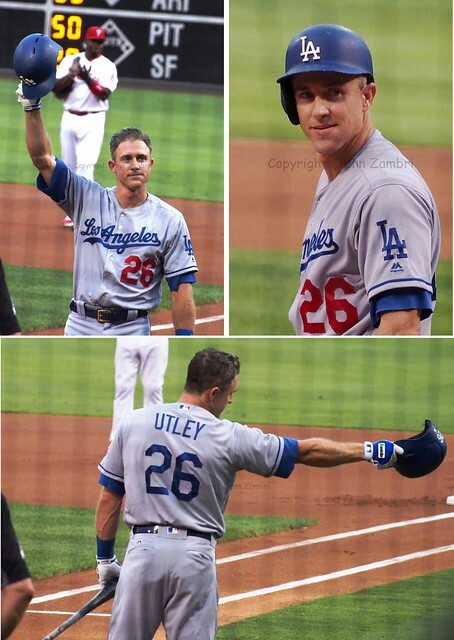 Here is the full Photo Album from the game. 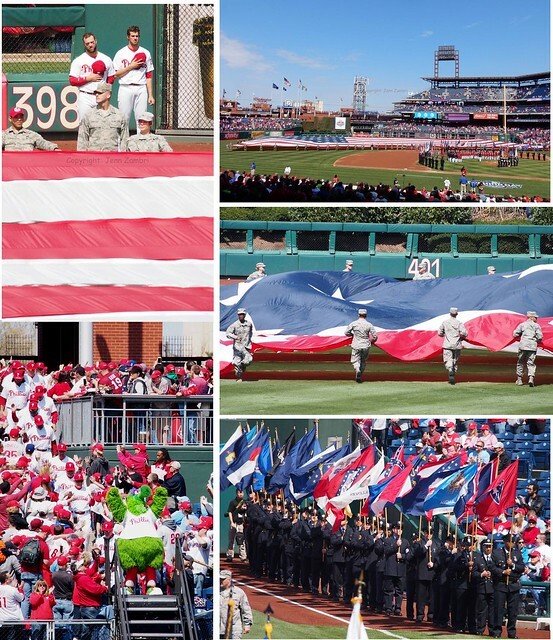 The Phillies begin a series tomorrow against the Braves at 4:05pm. Happy Independence Day, everyone! 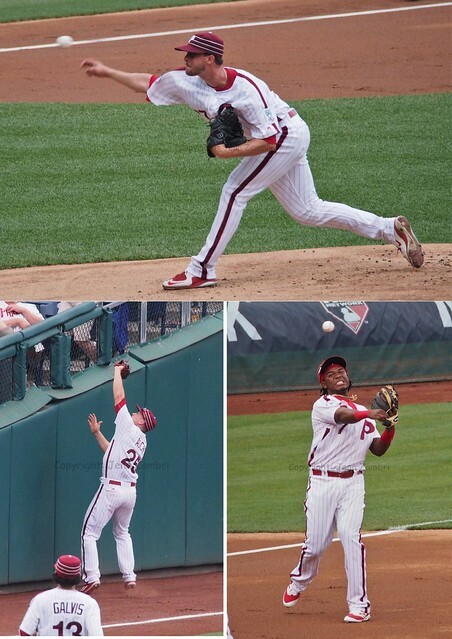 Friday night’s Phillies game against the Diamondbacks was utterly awful. 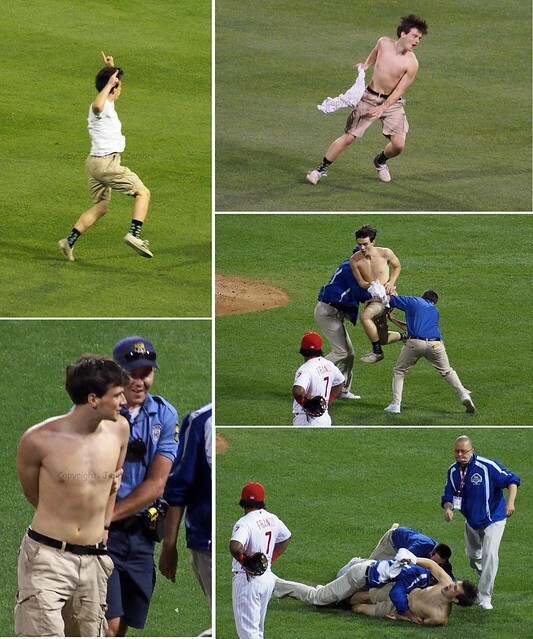 The only entertainment of the game turned out to be a young fan who ran onto the field, stripped off his shirt and danced around, much to the dismay of security officers chasing him. The run down took quite a while, but security eventually tacked him. It was pretty amusing; even the arresting officer was seen grinning as he escorted the fan off the field. And yes, that was the highlight of the game, unfortunately. 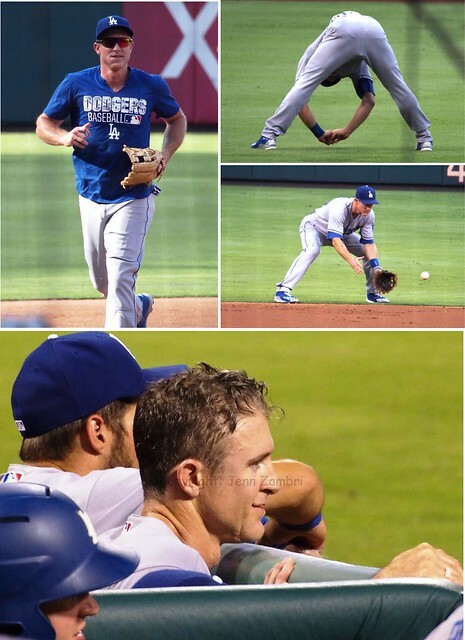 The 10-2 loss was ripe with struggling bats, bad base running and many errors. 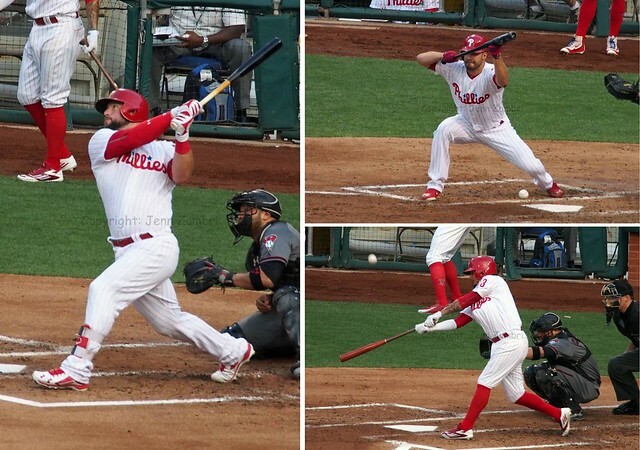 The Phillies managed only 7 hits and both RBI came off the bat of Cameron Rupp, who had a single and a triple. Although, the triple would have been an inside-the-park home run had Rupp actually been running instead of doing the home run trot around first base. In the field, Cesar Hernandez was flat out awful. 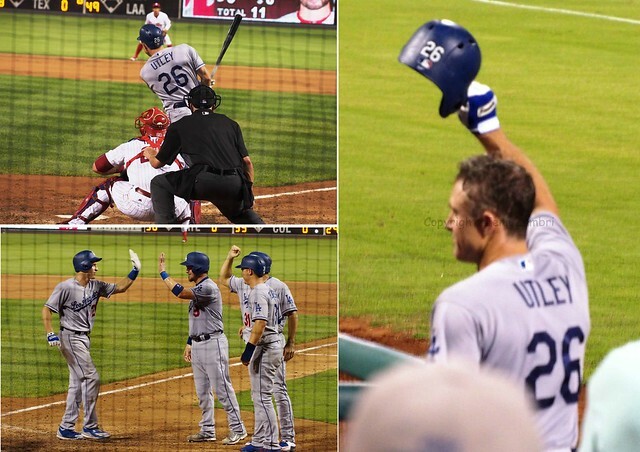 He had 2 errors in the game, making it a total of 7 already this year. Tommy Joseph had an error as well and his batting average has dipped down to .250 as he went 0-3 in the game. Joseph has had 2 hits in his last 27 at-bats. But the worst player of the game has to go to pitcher Adam Morgan. He allowed 7 runs, 4 earned, in 4.1 innings and now has an ERA of 6.49. Later in the game, Elvis Araujo gave up 3 runs, including back-to-back homers in the 7th inning. The Phillies started out the year with pretty good pitching; that has suddenly gone way downhill with 4 out of 5 starters getting blown out in the last week. The offense is still awful and the defense seems to get worse by the day. On the bright side, maybe another person or a small animal will run out onto the field again today. We seriously need some entertainment. Here is the full Photo Album from Friday’s game. Two Sweeps in a Row! 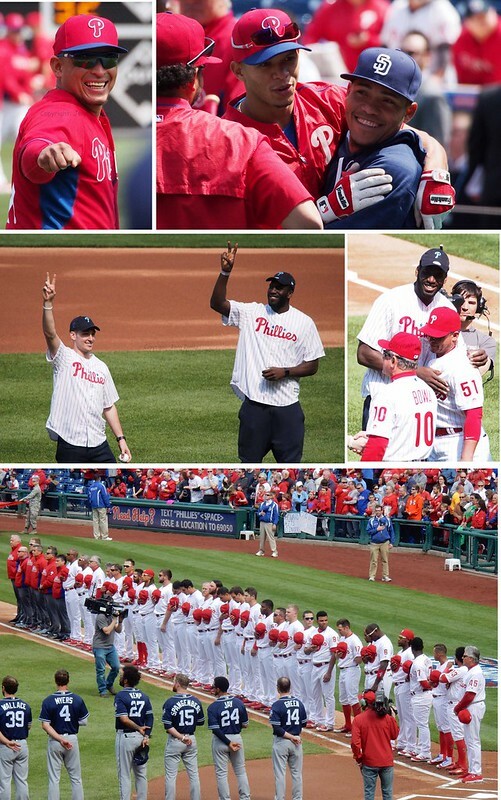 Where did this Phillies team come from? It looked early on like another bad, rebuilding season was upon us. But this young team has now won 9 of their last 10 games, sweeping both the Nationals and Indians in the last week. Crazy. 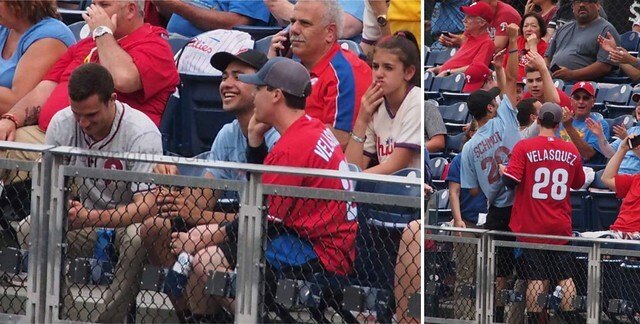 Before the big win, the Phillies hosted their annual Mother’s Day celebration which began with Cameron Rupp’s mom tossing him the first ball; that was adorable. 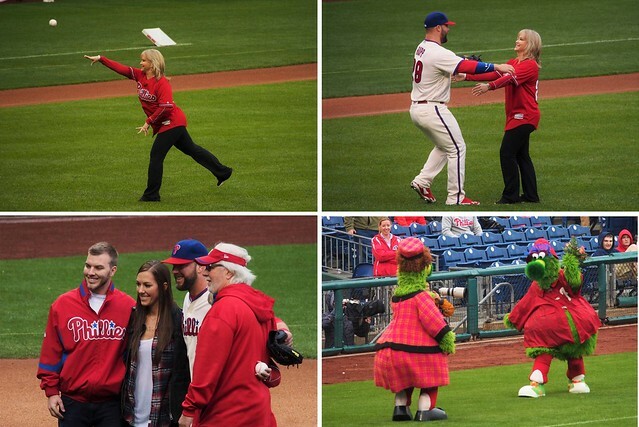 And, of course, the Phanatic’s mom was around later in the game as well. Vince Velasquez started the game in the rain and miserable cold. Still, he pitched well without allowing any runs over 6 innings. There was not much offense in the game; it was certainly not hitting weather today. 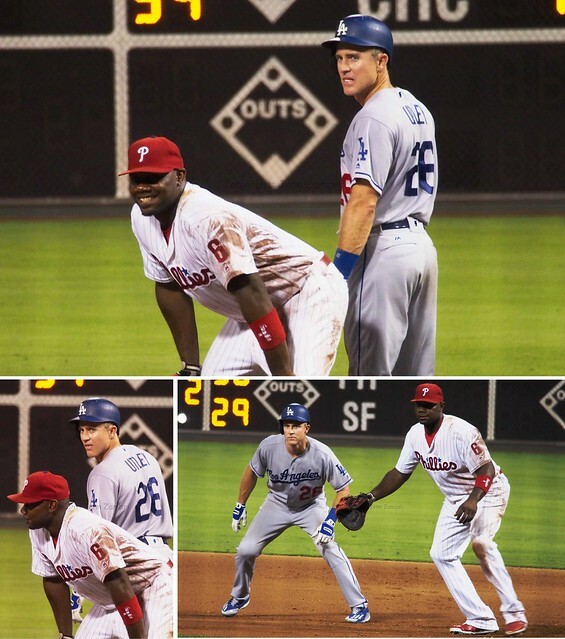 But the Phillies managed a few hits and scored twice in the 3rd inning.